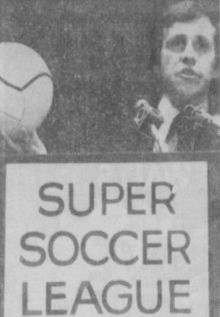 Mobile businessman Billy Lyons announces that he has purchased a franchise in a new indoor soccer league scheduled to begin play the summer of 1978, and it will be in Birmingham. Other cities reportedly are New York, New Jersey, Toronto, Washington DC, Miami, Atlanta, Shreveport, Los Angeles, San Francisco, Seattle, and New England. The new league will be named the Super Soccer League. Their brand of indoor soccer would be similar to hockey, with five players and a goalie. The president of the SSL is Jerry Saperstein, who announced the league's forming in Miami on January 5, 1978. At that press conference, Saperstein said the new league would feature fluorescent orange, yellow, and white striped balls, and six men on each side; two defensemen, two forwards, a goalie, and a midfielder. "We have taken traditional soccer, cut the size of the playing field, reduced the number of players on each team, widened the goals and moved it indoors. With some rule changes, we will have an offensive-oriented game which will produce high scoring and will not be governed by the vagaries of weather," Saperstein said. The league's version will bear a distinct hockey flavor, with unlimited substitution, dasher boards around the field to keep the ball in play continuous play, body checking, and a penalty box. There will be three periods, each 20 minutes long. Franchises will cost $50,000. Saperstein said the SSL would not get into a bidding war with established soccer leagues for players. "It will be a league policy that we will neither approach nor sign players currently under contract to the North American Soccer League. We're not going the be the second professional soccer league in the sense the the World Hockey Association and the American Basketball Association were second leagues. There are eight million soccer players in the world, only a few of which play in the the NASL. We're going after American college and university players." Saperstein's father Abe founded the famous Harlem Globetrotters and Jerry worked with the club until after his father's death. "Many of my father's promotions were intertwined with soccer. Dad was promoting a soccer game the night I was born. I saw that soccer, even more than basketball and tennis, was the sport of the world. More than 120 nations play it. And why not? It's going big in American schools today because there are few injuries and you can gave a game with a $9 ball, cheap goals, and a bunch of guys wearing shorts and sneakers,"
The SSL's vice president of operations is William R. Putnam. 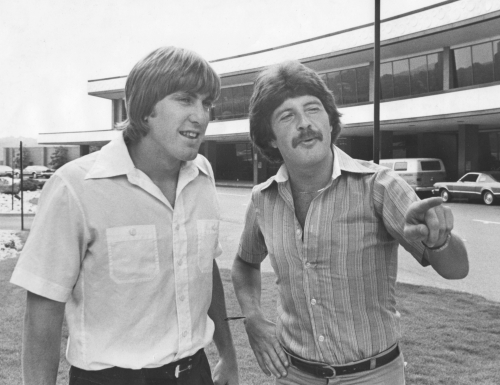 Putnam was the owner of the Birmingham Americans, who won the World Football League's first and only World Bowl in 1974. Putnam said the SSL's director of player personnel, Norm Sutherland, was currently touring Europe to sign 200 to 300 players to stock the franchises. Lyons is president of Riley Chemical Corporation and is the brother of former Speaker of the Alabama House of Representatives Sage Lyon. He was a part-owner of the Barcelona, Spain franchise of the International Basketball Association. "We were very successful, but couldn't play politics and were forced to sell out." Lyons announced that the lease agreement with the Civic Center's board meets his approval. If a contract is signed, the team will play between 16 and 20 games in the Coliseum in July, August, and September beginning in 1978. Gordon Fearnley was announced as head coach by Lyons. Fearnley is from Yorkshire, England, and is the youngest head coach in professional soccer in the United States. "This is my first trip to Birmingham. I've never really thought about living here. Guess I'll have to now. But I'll tell you what, once I stepped off the plane I've met nothing but terrific people," Fearnley said. Fearnley addressed the differences in indoor soccer versus outdoor soccer. "One of the things that seems to be boring to fans is the midfield play in outdoor soccer. We've virtually eliminated that factor with indoor soccer. With a shorter field, you'll see more action. The goalie, much like in hockey, will be the key man." Indoor rules also include a time penalty box and power plays, just like hockey. He continued saying, "The rules are really simple. There are not that many changes. A lot of outdoor rules apply." A total of 12 franchises will make up the SSL. Current cities named are Birmingham, New York, San Francisco, Los Angeles, Toronto, Salt Lake City, Seattle, Atlanta, Boston, Shreveport, Miami, and Washington DC. The first game is scheduled for the first week of July. They will play 32 games, 16 at home and 16 away. Each team will have 14 players. Only six will play at a time. A player draft will be held next week, with 10 players to be selected from a pool of 150 by each franchise. Alaina Jones, director of public relations, said the team still doesn't have a name but, "the contest is still going on to name the team. We expect to have a name very soon." "The Saperstein name is magic all over the world. This new league is going to work, too. The entire league is 100% associated with success from the top to the bottom. We have good people throughout the league. We want to have a winner the first year for Birmingham. Birmingham deserves a winner. We've got a lot of things going for us that other new leagues didn't have. In fact, we took mistakes from others and learned from them," Lyons said. Lyons also claims the SSL has signed a contract with Twentieth Century Fox for a five year television package. "By next Thursday, we'll have an earth-shattering announcement to make. And after that, we hope to make another announcement that would be quite interesting." After the press conference, Fearnley asked about Birmingham's nightlife saying with a smile, "I'm a bachelor, you know. And you might say I enjoy socializing." It is reported that the local franchise would be known as the Birmingham Bankers. Jones announced the team would be known as the Birmingham Bandits and that the SSL had signed a contract with Twentieth Century Fox. They will be televising five league games in 25 of the 50 major television markets in the United States. She also announced that Birmingham would play in one of those games. In addition to the five regular season games, league playoffs, and the championship game are included in the package with Twentieth Century Fox. At the SSL's first draft, the Bandits drafted 10 players. John Hazel of Scotland was Birmingham's first pick. Of the 10, four are from Scotland, one from the United Kingdom, and five are from the United States. Players will begin to report in next week. At this time, only eight teams are listed as being ready to begin play in July; Birmingham, San Francisco, Los Angeles, New York, Miami, Atlanta, Shreveport, and Washington DC. The Bandits first home game has been moved back to July 13th. There are rumors that Los Angeles, San Francisco, Washington DC, and New York will be forced by the league to turn in their franchises due to financial and scheduling problems. Fearnley makes an appearance at the Alabama Sports Writers Convention at Pine Harbor to promote the Bandits. "Soccer is growing in the United States, because it has great selling points. First, soccer is one of the least expensive games to play. All you really need is a ball. Second, the game can appeal to so many different people of different shapes and sizes. And third, girls can play the sport. In Alabama, I know we'll have to compete with football, but I think soccer can catch on. I really don't think our success will depend on having a winning team. It'll be determined by how exciting we are," Fearnley said. "Our first draft was held a few weeks ago in New York. Of the 12 players I had on my list, we got six. I went after the hungry players, not the stars. That's why market prices are so low. I don't intend to ignore the American players either. League rules say we have to split our roster and have seven Americans and seven foreign players. That's a good rule because the future of the game here is to bring these American players along. The World Cup games are going on now in Argentina. I would be very surprised if America didn't have a world team in the 1982 games which will be played in Russia," Fearnley said. Last year Fearnley was playing in the North American Soccer League with Fort Lauderdale. "I came to Birmingham for two reasons. I wanted to coach and I think indoor soccer is a great opportunity." Jones, now the Bandits general manager, announces the SSL will consist of six teams and that each team would play a 26 game season. The six teams are the Birmingham Bandits, Atlanta Wallbangers, Shreveport Balls, South Florida Shockers (Miami), New York Spirit, and the San Francisco Rounders. Some are reporting the California team will be called the San Francisco Heat. "There will not be any more franchises withdrawing from the Super Soccer League. It was in the financial best interests of the league for some teams to wait a year before beginning competition. We think it's better to begin with six and work our way up to 12 teams than it is to start with 12 and end up with six. We think a lot of homework has been done on organizational matters and, as a result, the league will be better for it in the future," Jones said. Ticket prices will be from $3.50 to $4.50 and the Bandits are scheduled to play four exhibition games against international all-star teams. Jones responds to persistent rumors that the SSL is folding by saying, "We're going to be around. There is no uncertainty about us or the league. We're not going to fold. It seems every new league has it's problems. We're no different. We're a stable franchise and we are not in financial trouble. In fact, when we purchase something, it's done on a cash basis. We want to show Birmingham and the people in the state we're here to stay. We have too much invested now to leave the city. We kinda like Birmingham. It's a terrific city." Jones did go on to admit the Bandits could delay their first season until next year and said, "If we do, it will not be because of financial problems per se. It will be because of time. One problem the league has come to face is getting things squared away for play this year. Although the Super Soccer League was formed over a year ago, wheels have only been turning for a couple of months. I think a lot of owners, not us, have found it's pretty tough to get players and print tickets and settle on a site to play their games in three or four weeks. But you know, that's not a bad problem when you think of it. We have teams to play this year and we have teams waiting to buy into the league. I like a problem like that. And Birmingham doesn't have to worry about the Super Soccer League. We're going to be around." In other league news, Shreveport Balls owner Cal Rockefeller is bowing to unanimous 12-0 vote of the SSL board of directors to change the name of his team. A name-the-team contest will begin soon. The team wanted the nickname because of the brightly colored balls the league will use and the thought of any sexual innuendo never came up. "We wanted people to come out and have a ball, you might say," Rockefeller said. Saperstein announces the SSL will postpone their inaugural season until April 1979. "What it boils down to is that some of the teams were ready to play and others weren't, and you can't start a league on that basis. This is not a happy time. We're going to have to go back and regroup. This decision is in the best interests of league directors, teams, and fans." Putnam, now the managing partner of the Atlanta Wallbangers franchise, said the league "is too good a concept to carry into a season with so many question marks. The worst thing that could happen is to give out of money in mid-season, an experience I've had once before and don't care to repeat. What it boiled down to was only three teams - Atlanta, Birmingham, and Shreveport - were really ready to go." "We feel the decision not to play until April of next year is a sound one. We're especially pleased with the decision because it gives the league an opportunity to firm up the 12 franchises we had originally intended to go with," Lyons said. Jones said no one in the organization has been paid for the last few weeks, including front office workers and players. "It has now been six weeks since we've been paid. We're broke, we're hungry and we're totally confused. What has happened, is that we've been mislead regarding the status of the Super Soccer League. To the best of our knowledge, we no longer have a team. At least that's the word we got from Mr. Lyons." Fearnley feels duped also. "We have repeatedly notified Mr. Lyons of our financial plight. It seems we called him practically every day asking him for money. I know one thing, we've got to have money to operate a franchise in this city. We thought we had security. We were mislead on that fact." Saperstein says the league is working toward next year and likes the Magic City. "As for the position of the league at this time, we're going ahead as we planned. We expect to open our season in April of 1979. Nothing has changed there. We do plan, however, to hold a league meeting the third week in July in Chicago. And we're expecting Birmingham to be represented there. We've run into some problems, but that's because of time. I'm impressed with Birmingham as a major league city. We think the Super Soccer League is an exciting product and we plan to have a league that begins play next year. My family has been in professional sports for over 70 years. I don't have to defend myself or my family. We're going to have a Super Soccer League." Lyons responds heatedly to Jones and Fearnley's accusations saying they "are totally and 100% hogwash. This is all ridiculous. For one thing, those players shouldn't be paid because they were never signed to a contract. I never authorized Alaina to bring those players into town. I repeatedly told her we didn't need the players in yet because it looked as if the league wouldn't begin playing until next year. She's been paid $2,800 for six weeks work. I have a $500,000 line of credit and I'm bringing proof of that with me to Birmingham. I just hope I haven't been hurt beyond repair. I want a franchise in Birmingham. I still believe in the Super Soccer League. If Birmingham, after what has come out, doesn't want a soccer franchise, then I'll take it to Jackson, Mississippi, or somewhere where a team can get favorable response." Lyons cancels a scheduled press conference to repudiate all of the accusations made against him, due to an illness in his wife's family. He did find time to consult an attorney to discuss a possible suit against the Birmingham News for printing the interview with Jones and Fearnley, however. 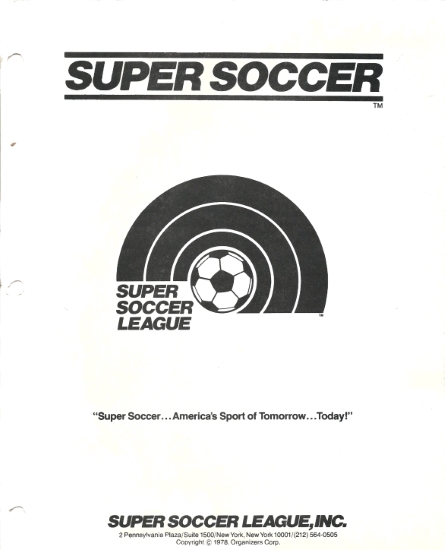 The Super Soccer League came very close to playing actual games before folding. It was unable to get started mainly because it could not stabilize its franchise situation.